The success of Gateway to Hope can be attributed to the partners we have in the community and our amazing volunteers who support all of our efforts. By partnering with Gateway to Hope you can help us share the love of Christ to those in need in Marion County. We invite you to get involved with Gateway to Hope Ministries! Contact us for more information or to volunteer. 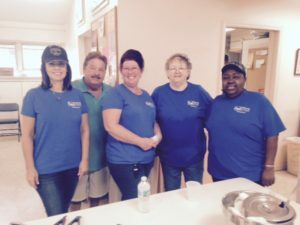 Volunteers to prepare and serve food. While serving we love people to talk with our guests and get to know them. Volunteers to help hand out breads and produce before and after the clients eat. 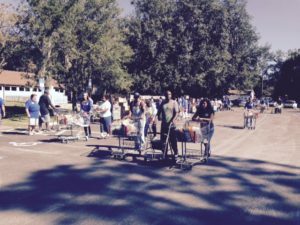 Volunteers to help run the food pantry (monitor and take down information about the clients). 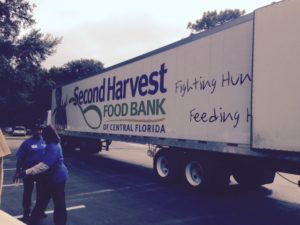 Volunteers to help pick up food from Walmart and Publix (they donate food to us). Use social media to promote Gateway to Hope’s Mission with others. Help us offer a Hand up to Hope by giving a monthly charitable gift which provides consistent support.